Any great party often has to be accompanied by a great recipe, and that’s what many people do find tough to accomplish. 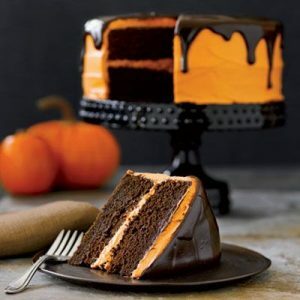 However, Halloween pumpkin chocolate cake recipe has a delicious taste, and that means that it works well for any celebration. Preparing the recipe involves a considerable amount of time and commitment. 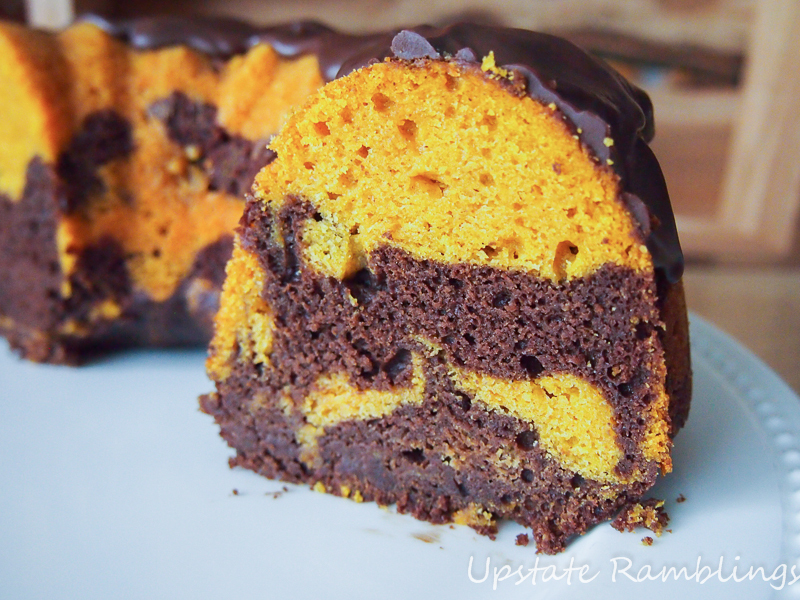 However, the alternating layers of the spiced pumpkin and a moist chocolate give a feeling which any person would love to identify with. Here are the ingredients and directions for the recipe. For a little more healthy chocolate cake, check out this superfood chocolate cake! i. Set the oven to 325 Fahrenheit. Mix the flour, baking powder, sugar and the mentioned spices in one bowl, and whisk for the ingredients to combine. Add the butter, and do a low style mixing until the mixture somehow resembles sand. ii. Add in the eggs one at a time while scraping the dough in the bowl from the bottom. Add the Greek yogurt, pumpkin, and the vanilla extract. Mix the ingredients on medium-low speed for about 90 seconds, and ensure to give the cake the desired structure. iii. Bake for 15-20 minutes, cool completely and do frosting using vanilla butter cream. i. Set the oven to 325 Fahrenheit. Mix the flour, sugar, cocoa, baking powder, and salt in a bowl. Ensure the butter is cut into smaller pieces and the pieces to the mixture. Mix on low speed until the dough somehow resembles a damp sand, this should be done in 1-2 minutes. The eggs should be added one at a time until they are fully integrated into the mixture. When the eggs are incorporated, Greek yogurt and vanilla extract should follow. Mixing should be done preferably on medium speed for the intentions of strengthening the structure of the cake. ii. Divide the batter equally between 2 pans, and do the baking for about 15-20 minutes. Cool completely, and frost using the vanilla extract. i. Place the eggs whites and sugar in mixing bowl. Whisk the mixture occasionally until it becomes thin, smooth and translucent. Remove the mixing bowl from the heat, and continue the whisking on medium-high speed. The whisking should be done until you can longer feel warmth in the palms of your hands. Add the butter tablespoons, each at a time. If the mixture seems somehow runny, put it in the refrigerator for about 10-20 minutes, then re-whip. When the mixture becomes spreadable, the vanilla extract can then be added. ii. Put the cream in a measuring cup, add corn and chocolate, and microwave for 15 seconds interval until the mixture becomes smooth. Stir the vanilla extract, and pour the resulting glaze on top of the prepared cake. Allow it to dip down to the sides of the cake. Garnish with the gummy pops, marshmallow, candy corn, Oreo minis, and the sprinkles. Though there are many procedures to the recipe, you can still stay ahead of time as long as you are timely in your preparation. You can dedicate a day to work on the frosting, assembly and glazing, and spend the following day solely focusing on the decoration part. The recipe has a great look that goes well with any photo moments, and for party sessions, be sure that this is the recipe that many invited party lovers would love to enjoy.